When a parent comes to me for advice about potty training, I always start the conversation the same way. Let’s consider what it takes to pee on the potty. A child has to be aware that they need to pee, let you know, hold the pee, get to the bathroom, adjust their clothing, sit on the seat, let it go, and then flush. For some children there is even an additional step of wondering where the pee has gone. Not to mention readjusting clothing and washing hands. For little people this is a BIG task! My next question is generally,why are you wondering if it’s time to potty train? Did someone tell you it was “time” or did you pick up a cue from your child that they were ready? Everyone has a theory about when a child “should” be potty trained, but for most typically developing children, we need to pay more attention to what the child is telling us than what anyone else’s well-meaning advice might be saying. Are you feeling pressure from nursery school? Friends? Grandparents? Parents today have pressure from so many ends about potty training, not to mention how expensive diapers are, and how connected our feeling of success as parents is, to having a child who is using the toilet. The truth of the matter is that we need to block all that out. Potty training can turn into a battle if a child isn’t ready. When a child is ready, it tends to be a far simpler process. While I encourage parents to begin the potty training process when a child is ready, I also encourage them to be aware of themselves. Are you incredibly busy right now? Waiting on the birth of a baby? Are you feeling pressured or will you be able to have a joyful, no-pressure, positive and playful attitude towards potty training? 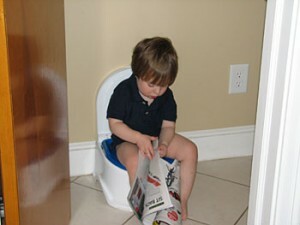 Most children are not ready to use the potty by 18 months. Most aren’t showing any signs of readiness until atleast 2 years old, if not later. We know that as your child passes their second birthday you have a better grip on their personality and their temperament, as well as what they like and don’t like. All of this can be important during potty training. At 2 years of age, a child is very aware of their parents’ face, emotions and tone. If you are anxious, angry, or irritated with them during the process they’ll know. You have to go in with the expectation that it is a process, it may be messy, there will be accidents, and eventually there will be success! All this being said, if a child is approaching their 4th birthday and still showing no interest in potty training, I begin to wonder why. What else might be happening for this child? More often than not, by this point, children are well on their way to using the potty regularly. Bottom line…Potty training should not be rushed. The key concept is that children should be taking the lead! 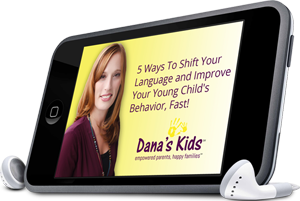 This entry was posted in anxiety, behavior, developmentally appropriate, parenting, Potty Training, teachable moments, young children and tagged behavior, child development, children, developmentally appropriate, parents, potty training, self-help skills, tips, young children. Bookmark the permalink.